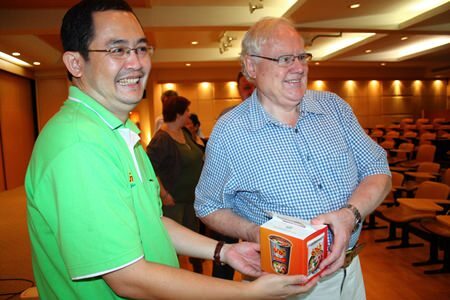 Members of the Rotary Club of Jomtien-Pattaya learned how Mama instant noodles were made during a visit to the Thai President Food Co. in Laem Chabang. President Graham Hunt-Crowley led the Sept. 14 field trip held in tandem with the Spirit Church of Christ. 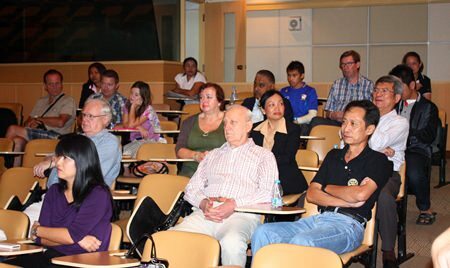 Members learned about manufacturing processes, knowledge they hope to pass on to Pattaya-area youths. 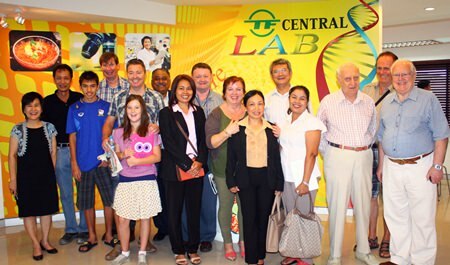 Rotarians and Research Director Sumonrat Kamolchote (left) pose for a commemorative photo after a memorable tour learning about the manufacturing of Mama noodles. 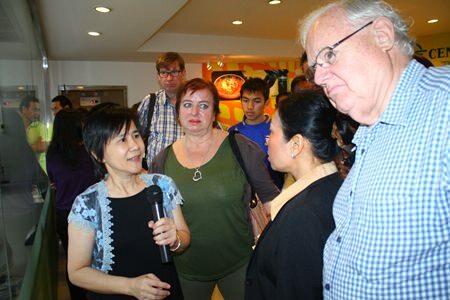 Research Director Sumonrat Kamolchote opened the day with a lecture and presentation, showing off various pieces of machinery and how they are used to cook and dry the cheap instant noodles popular all over Asia. 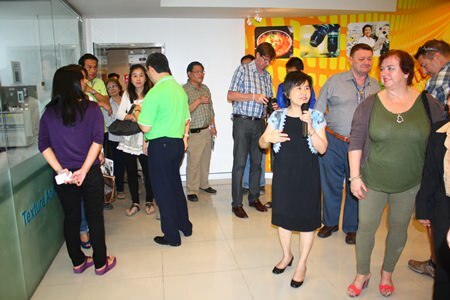 The noodles are made of imported wheat, unlike most brands that use rice noodles. 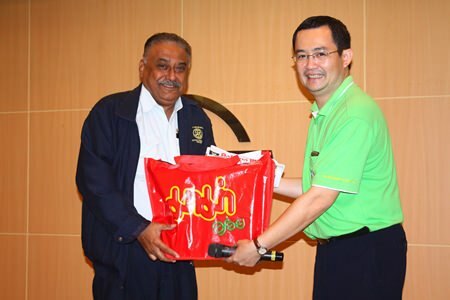 The company operates three factories in Lamphun, Rayong and Sriracha, each producing more than 200,000 packages a day. The Sriracha plant employs 1,400. 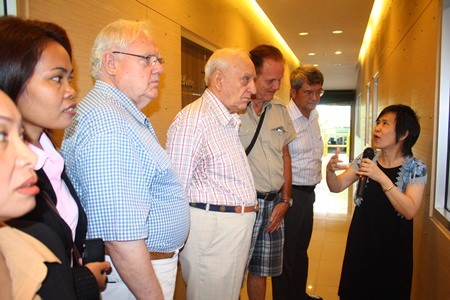 Sumonrat then led the delegation on a tour, explaining the quality processes that go into making popular food products. Then it was up a staircase to a central laboratory where workers have the delicious job of testing quality. Most tests, however, are done by computers. 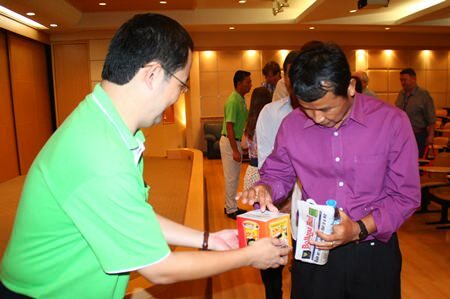 Hunt-Crowley thanked the company for the tour and exchanged gifts, including Mama noodles.